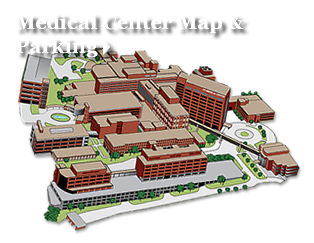 The rooms at the Preston Medical Library may be reserved by UT Graduate School of Medicine (UTGSM) and UT Medical Center (UTMC) team members who have a UTMC-issued photo identification badge. Priority is given to reservations for educational purposes. The computer lab will only be booked for groups who need to use the computers for training. The computer lab cannot be booked for standard meeting space. In order to provide the best use of our library's resources, we will cancel your booking and release the room if it remains empty 30 minutes into your reservation. The Preston Medical Libraries Joellen S. Fordham Conference Room is available for UT Graduate School of Medicine and UT Medical Center use. The room will comfortably seat 22 people. Pre-boxed meals may be served, but buffet-style meals may not be served. The Rolland Regester Computer Lab is available for UT Graduate School of Medicine and UT Medical Center team member users, has 14 computers, a podium with teaching computer, ceiling mounted projector and the entire front wall is a dry erase board. The computer lab may be scheduled for classes. Reservations for full day events will require a 1.5 hour lunch break to allow for general computing. Software includes Microsoft Office applications. Installation of software for special training events must be scheduled several weeks in advance. Pre-boxed meals may be served, but buffet-style meals may not be served. The Professorâ€™s Lounge features large chairs and one table; it seats around 4 and is good for small meetings or interviews. Pre-boxed meals may be served, but buffet-style meals may not be served. There are three study rooms located in the library that can be reserved by UT Graduate School of Medicine and UT Medical Center team member users. Each room includes a table, eight chairs and one wall that can be used as a whiteboard. The study room is an ideal location for meeting with a small group. Pre-boxed meals may be served, but buffet-style meals may not be served. The conference room and study room 3 support conference calls; the conference call telephone can be reserved through the library's main desk.